One of the entrance to the Underground City in Beijing. In 1969, amidst rising tension, Chairman Mao Zedong ordered his countrymen to dig tunnels under their houses as protection against Soviet air raids. By the end of 1970, the country's 75 largest cities had reportedly dug enough holes to hold 60 percent of their populations. 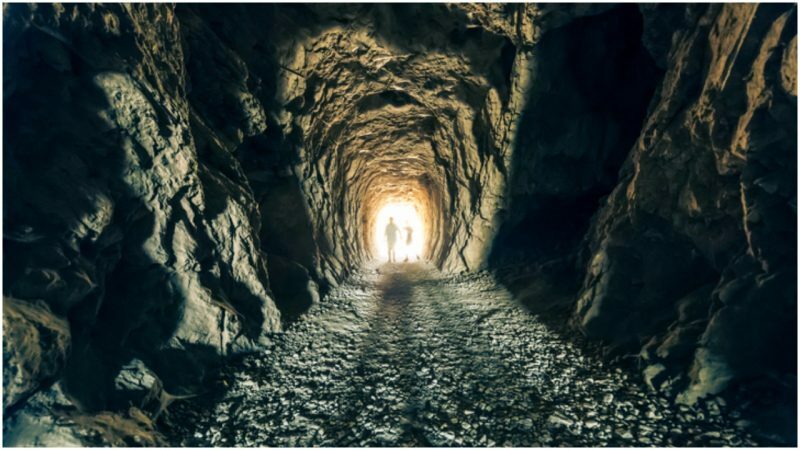 In Beijing too, some 300,000 people swung shovels digging an estimated 10,000 to 20,000 bomb shelters and some 30 km of tunnel linking them together. Every able-bodied men, even school children, took part in the effort. Centuries-old city walls and towers that once circled ancient Beijing were cannibalized for supplying construction materials for the complex. 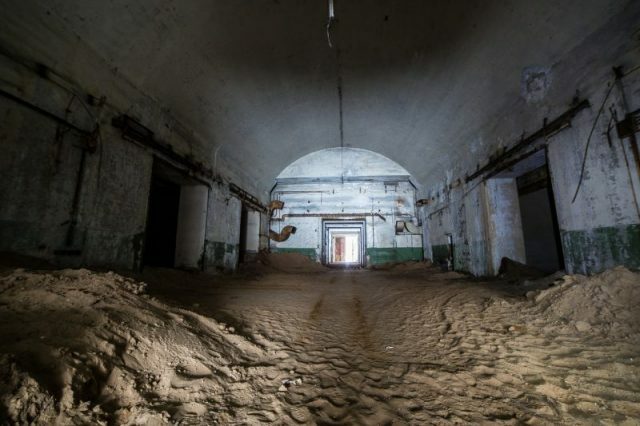 The mostly hand-dug tunnels and bunkers now sprawl across 85 square kilometers stretching all the way to the distant Western Hills on the city’s edge. It was speculated that Beijing’s entire population at that time—8 million—could disappear underneath and stay there for up to four months waiting for the air above to clear from a nuclear or chemical attack. All this, however, came to naught. Chairman Mao died in 1976 and his successor, Deng Xiaoping, overturned all of Mao’s hardline ideology-driven policies in favor of economic reforms. The Sino-Soviet split of the 1950s and 60s also lost political importance. 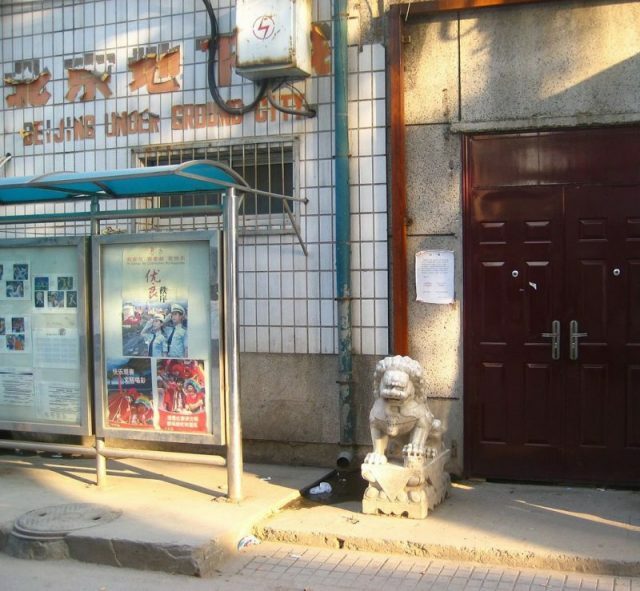 Eager not to let the gargantuan effort of tunnel building go to waste, the government’s Office of Civil Defense instructed citizens to commercialize the shelters and turn them to profit. Many of these were turned into rented accommodation, others became supermarkets, cinemas, restaurants, clinics, schools, theaters, factories, warehouses, mushroom cultivation farm and roller skating rinks. The thick air lock doors that stand at its entrance hints at the accommodation's original use as a bomb shelter. The government still considered underground bomb shelters an essential requirement in cities. So in 1996, it passed the Civil Air Defense Law that required new buildings to contain underground civil-defense shelters, but also stressed that shelters be constructed in such a way as to benefit economic development and use in time of peace. This led to the proliferation of for-profit underground housing. The management of these buildings is a complicated system involving a number of middlemen. 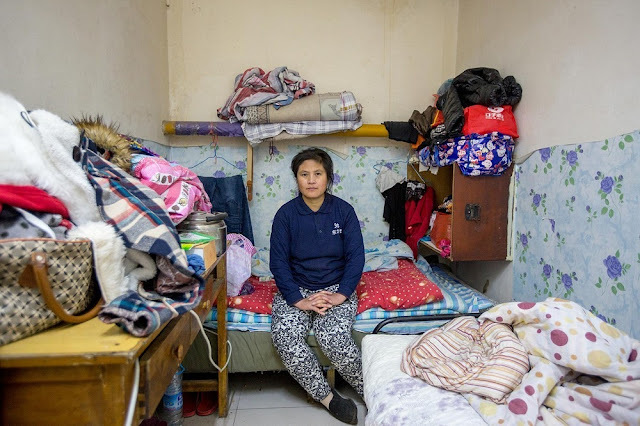 Typically, these shelters are owned by either a private company or the Civil Defense Bureau, who rent them out to Beijingers who in turn lease the basement to migrants. 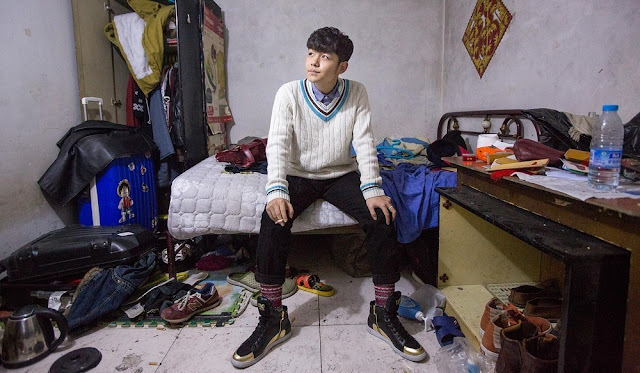 It is estimated that around 1 million Beijing residents, live in these cramp and often-dank subterranean spaces because they are cheaper than anything else over ground. The locals call them “rat tribe” or shuzu. Ironically, nearly all of them are young migrants who came to the capital city from rural areas in search of better opportunities. Many of the residents, however, believe that underground dwelling is just a transitional phase of their life until they gain the financial means to rent a better room with windows and sunlight. 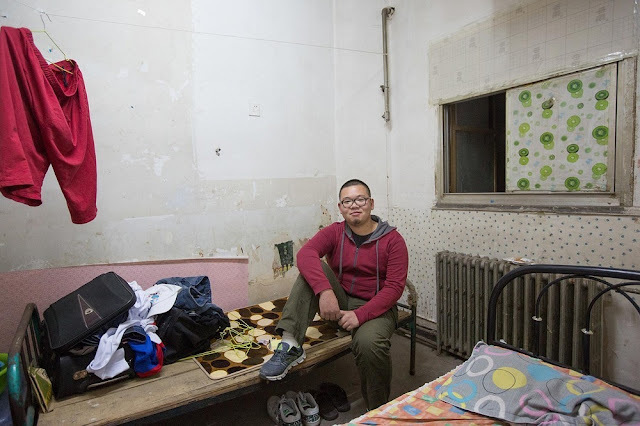 Wei Kuan, an insurance salesman, says that he lives in a basement apartment because he wants to save money for other things, such as a car. “Many of my colleagues live above ground, but I think it’s too comfortable; this place forces me to work harder,” he told an Al Jazeera correspondent. In 2010, Beijing municipal authorities announced that the residential use of underground spaces would be illegal by the end of 2012, citing safety hazards, such as the risk of fire or flooding. 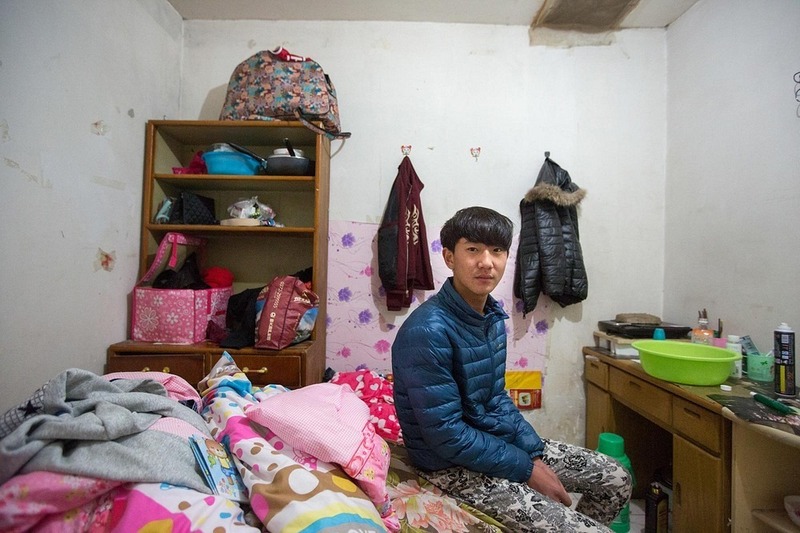 In 2015, thousands of residents were evicted from their underground housing. In 2017, authorities discovered 400 people living underneath an upscale Beijing apartment complex. Parts of the tunnel system is open to the public and is operated by the city as a tourist attraction. 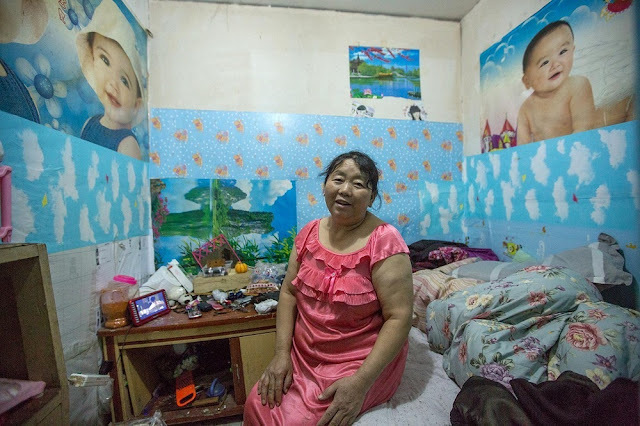 These photographs were taken by Chinese visual artist and documentary photographer Sim Chi Yin. Chang Wanle works as a taxi driver. 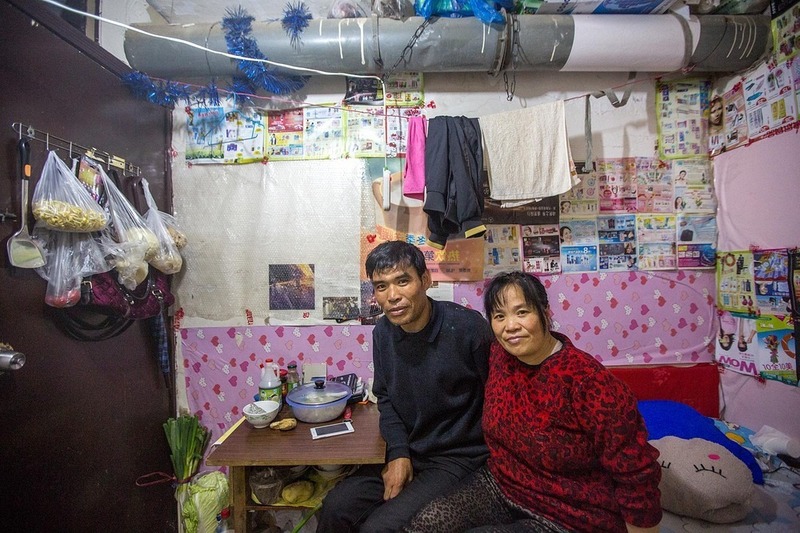 Chen Laxiu and her husband works on the subway cleaning stops. 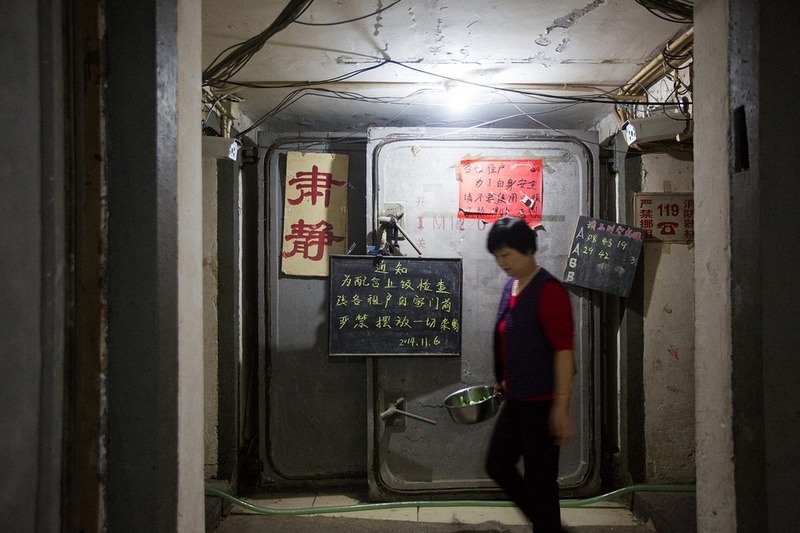 Duan Shuliang, 49, and his wife, Liu Xinger, 50, work as dishwashers. Their room measures 6 feet 2 inches by 7 feet 10 inches. Guo Xiaolong, 40, is the manager of a basement in Beijing's eastern suburbs. He is in charge of 72 rooms and about 100 inhabitants. He himself lives in one of the rooms. Jing Ranming, 18, an actor and performer from Liaoning, sits in his room in an underground residence in Beijing. Li Yang trained as a car mechanic but is living in a basement, hoping to be an authority on fly fishing someday. Hahaha, my friend, this is nothing, it is MUCH WORSE in Switzerland where the Army can hide THE ENTIRE POPULATION of the country into the Alps, including AIRPLANES, lorries, trains, etc., and these huge shelters are fully equipped (hospitals, etc.) and with food supplies for 25 years. Total paranoia. US had the same hysteria back in the 70's. Everyone built there own bomb shelter. I think Russia was trolling everyone.